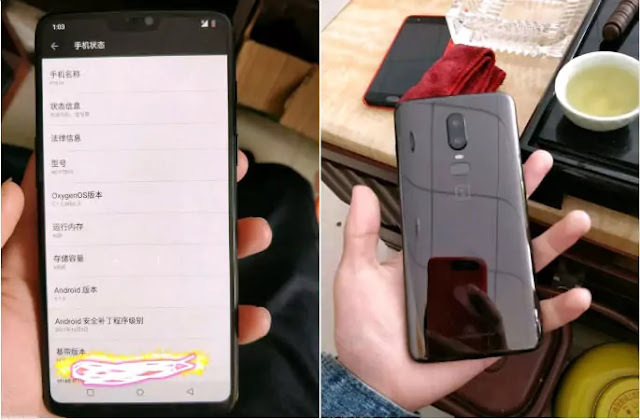 We could anticipate the launch of OnePlus 6; especially after the many recent online leaks and rumors. While a mid-yearly upgrade was embarked with the OnePlus 5T in 2017 by OnePlus, the flagship OnePlus 5 is set to progress to the next level by June this year. And this upgraded model is expected to be called the OnePlue 6. It is interesting to note that OnePlus 6 could be among many smartphones, which is expected to have an iPhone X-like notch. While earlier leaks had indicated some of the features in the smartphone, a fresh report has given away more information about the upcoming OnePlus 6, which includes benchmarks scores and screen-shots. According to Android Central, one of the familiar sources with OnePlus’ plan has stated that the OnePlus 6 will have a display notch similar to iPhone X with some high-specs. The source claimed these specs will include Snapdragon 845 processor. Moreover, the revealed screen-shots shows a large status bar, further verifying the notch. Oneplus 6 is expected to have a 19:9 aspect ratio display, bigger than its predecessor (OnePlus 5T) who had 18:9. The latest aspect ratio basically makes up for the space vanished by the notch. 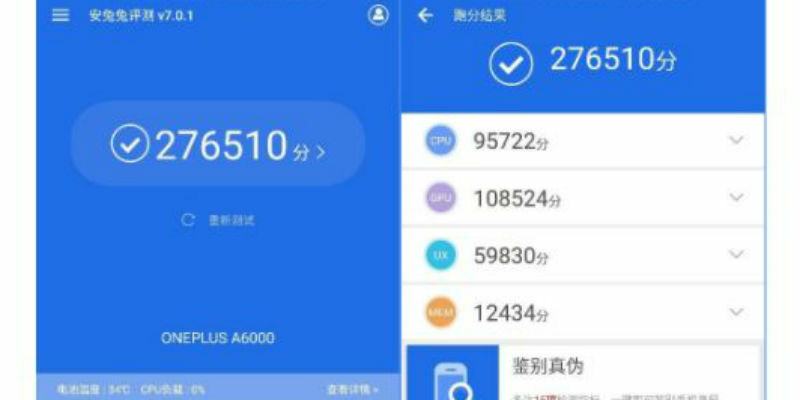 As per the rumors, the prototype OnePlus 6 has scored 2,76,510 under the model number A6000, in the AnTuTu benchmark. The test score hammered every Android smartphone; which indicated that the OnePlus 6 could possibly have the Snapdragon 845 SoC. Snapdragon 845 is no surprise, as earlier this year, Pete Lau, OnePlus CEO had announced that the upcoming flagship phone from OnePlus will run by the new processor. Also, this adds up to earlier reports, which had let out specs like 64GB inbuilt storage, 6GB RAM, a vertical dual-camera setup at the rear, and Android 8.1 Oreo.